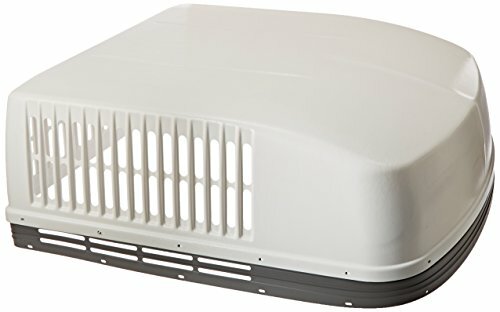 Icon Air Conditioner Shroud for Dometic Duo Therm BriskAir Old Style, Polar White. Not all AC shrouds are created equal. 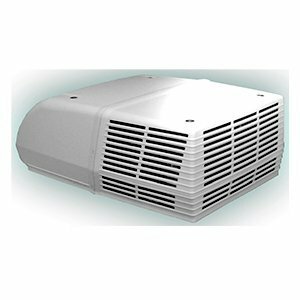 These aftermarket replacement air conditioner shrouds are constructed of high-impact UV resistant material, thicker and stronger than the originals. Buy an Icon shroud and you'll have complete peace of mind, knowing that your shroud is designed to last. Backed by a limited lifetime warranty, Fits BriskAir old style air conditioners. 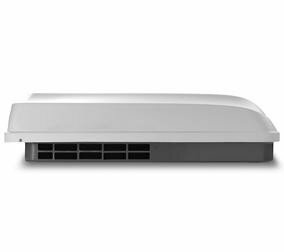 Icon Air Conditioner Shroud for Dometic Duo Therm BriskAir New Style, Polar White. Not all AC shrouds are created equal. 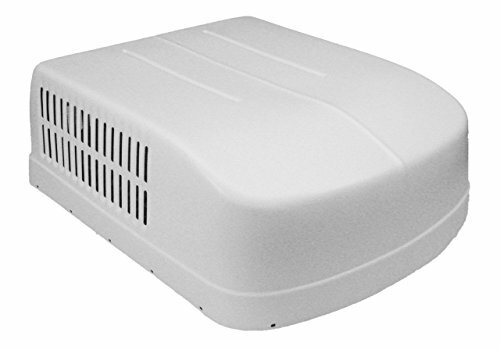 These aftermarket replacement air conditioner shrouds are constructed of high-impact UV resistant material, thicker and stronger than the originals. Buy an Icon shroud and you'll have complete peace of mind, knowing that your shroud is designed to last. Backed by a limited lifetime warranty, Fits BriskAir new style air conditioners. The Dometic 3309518.003 Brisk Replacement Shroud replaces the upper unit shroud on Brisk models. Color: Polar White with gray band. Millions of people around the world buy and use Dometic products. They’re RV users, boat owners, truck drivers, campers, outdoor people. And all part of a growing movement – a longing for freedom and adventure, a desire to explore the world and to stay away for extended periods of time. We call it mobile living. Our mission is to make mobile living easy. 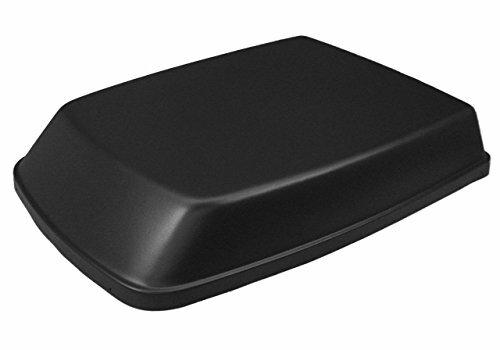 Icon Air Conditioner Shroud for Dometic Duo Therm Penguin, Black. Not all AC shrouds are created equal. 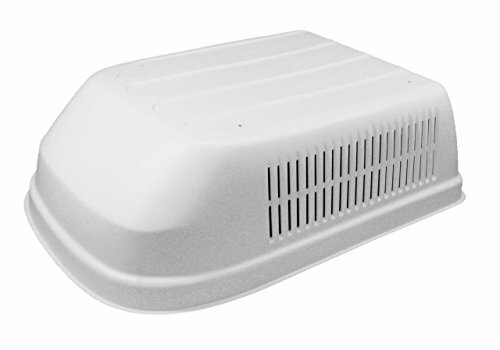 These aftermarket replacement air conditioner shrouds are constructed of high-impact UV resistant material, thicker and stronger than the originals. Buy an Icon shroud and you'll have complete peace of mind, knowing that your shroud is designed to last. Backed by a limited lifetime warranty, Fits Penguin air conditioners. The TuffMax A/C Shroud replaces Coleman-Mach 11,000, 13,500 and 15,000 BTU covers and features a built-in rear fin guard and is made from extra thick, extra tough UV protected plastic. 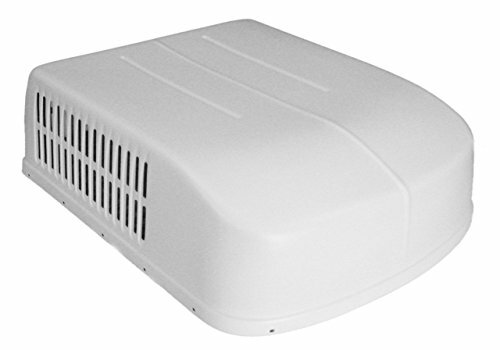 Coleman Shroud Artic White "D"
Shroud fits many of the Coleman Mach and Roughneck series Air Conditioners. Attaches with the original hardware (not included). The bolt pattern on the top is 20.85" X 17.75" wide. Overall Dimensions: 42" x 30" x 12.75"
Compare prices on Air Shroud at ShopPlanetUp.com – use promo codes and coupons for best offers and deals. We work hard to get you amazing deals and collect all available offers online and represent it in one place for the customers. Now our visitors can leverage benefits of big brands and heavy discounts available for that day and for famous brands.